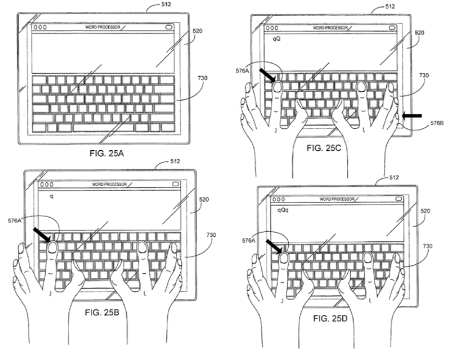 Appleinsider has gotten their hands on a large patent filing from Apple that we haven’t seen before, and it’s loaded with plans for how a multitouch interface would work on a tablet Mac running full-blown OS X. It covers how small interface buttons will be handled, iPhone-like scrolling through lists, details on a full multi-touch keyboard, and a nifty pop-up scroll wheel. And on top of all that, it seems like it’ll even work if you have freaky alien fingers! Let’s take a closer look.